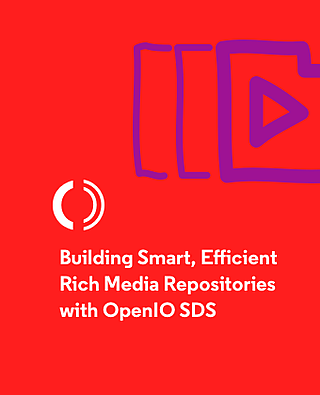 Learn why OpenIO SDS and Grid for Apps are the ideal choice for building flexible storage infrastructures that can handle efficient, smart, and sustainable large-scale repositories for today and and for the future. Now that digital reigns supreme in the media industry, data storage management has become a key issue. The sources and types of devices that can create or access videos are ubiquitous, and archives and online storage have been growing exponentially. High-quality, immersive video formats for VR applications are large and require high throughput, while converting this content to multiple sizes is a demanding task which takes a lot of time and CPU power.